The provisions of the Washington statutes that permit the filing of mechanics liens and materialman's liens on construction projects can be found in Washington's Mechanics' and Materialmen's Lien Law, RCWA § 60.04.011 et. seq. 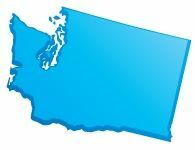 The full text of the Washington Construction Lien Law is provided below, and has been updated as of 2011. To see a quick synopsis of the most important provisions, take a look at our Washington Frequently Asked Questions page. (1) “Construction agent” means any registered or licensed contractor, registered or licensed subcontractor, architect, engineer, or other person having charge of any improvement to real property, who shall be deemed the agent of the owner for the limited purpose of establishing the lien created by this chapter. (2) “Contract price” means the amount agreed upon by the contracting parties, or if no amount is agreed upon, then the customary and reasonable charge therefor. (3) “Draws” means periodic disbursements of interim or construction financing by a lender. (4) “Furnishing labor, professional services, materials, or equipment” means the performance of any labor or professional services, the contribution owed to any employee benefit plan on account of any labor, the provision of any supplies or materials, and the renting, leasing, or otherwise supplying of equipment for the improvement of real property. (5) “Improvement” means: (a) Constructing, altering, repairing, remodeling, demolishing, clearing, grading, or filling in, of, to, or upon any real property or street or road in front of or adjoining the same; (b) planting of trees, vines, shrubs, plants, hedges, or lawns, or providing other landscaping materials on any real property; and (c) providing professional services upon real property or in preparation for or in conjunction with the intended activities in (a) or (b) of this subsection. (7) “Labor” means exertion of the powers of body or mind performed at the site for compensation. “Labor” includes amounts due and owed to any employee benefit plan on account of such labor performed. (8) “Mortgagee” means a person who has a valid mortgage of record or deed of trust of record securing a loan. (9) “Owner-occupied” means a single-family residence occupied by the owner as his or her principal residence. (10) “Payment bond” means a surety bond issued by a surety licensed to issue surety bonds in the state of Washington that confers upon potential claimants the rights of third party beneficiaries. (11) “Potential lien claimant” means any person or entity entitled to assert lien rights under this chapter who has otherwise complied with the provisions of this chapter and is registered or licensed if required to be licensed or registered by the provisions of the laws of the state of Washington. (12) “Prime contractor” includes all contractors, general contractors, and specialty contractors, as defined by chapter 18.27 or 19.28 RCW, or who are otherwise required to be registered or licensed by law, who contract directly with a property owner or their common law agent to assume primary responsibility for the creation of an improvement to real property, and includes property owners or their common law agents who are contractors, general contractors, or specialty contractors as defined in chapter 18.27 or 19.28 RCW, or who are otherwise required to be registered or licensed by law, who offer to sell their property without occupying or using the structures, projects, developments, or improvements for more than one year. (13) “Professional services” means surveying, establishing or marking the boundaries of, preparing maps, plans, or specifications for, or inspecting, testing, or otherwise performing any other architectural or engineering services for the improvement of real property. (14) “Real property lender” means a bank, savings bank, savings and loan association, credit union, mortgage company, or other corporation, association, partnership, trust, or individual that makes loans secured by real property located in the state of Washington. (15) “Site” means the real property which is or is to be improved. (16) “Subcontractor” means a general contractor or specialty contractor as defined by chapter 18.27 or 19.28 RCW, or who is otherwise required to be registered or licensed by law, who contracts for the improvement of real property with someone other than the owner of the property or their common law agent. Except as provided in RCW 60.04.031, any person furnishing labor, professional services, materials, or equipment for the improvement of real property shall have a lien upon the improvement for the contract price of labor, professional services, materials, or equipment furnished at the instance of the owner, or the agent or construction agent of the owner. (b) Delivering or serving the notice personally upon the owner or reputed owner and obtaining evidence of delivery in the form of a receipt or other acknowledgement signed by the owner or reputed owner or an affidavit of service. In the case of new construction of a single-family residence, the notice of a right to claim a lien may be given at any time but only protects the right to claim a lien for professional services, materials, or equipment supplied after a date which is ten days before the notice is given as described in this subsection. (c) Subcontractors who contract for the improvement of real property directly with the prime contractor, except as provided in subsection (3)(b) of this section. (b) Who do not contract directly with the owner-occupier or their common law agent shall give notice of the right to claim a lien to the owner-occupier. Liens of persons furnishing professional services, materials, or equipment who do not contract directly with the owner-occupier or their common law agent may only be satisfied from amounts not yet paid to the prime contractor by the owner at the time the notice described in this section is received, regardless of whether amounts not yet paid to the prime contractor are due. For the purposes of this subsection “received” means actual receipt of notice by personal service, or registered or certified mail, or three days after mailing by registered or certified mail, excluding Saturdays, Sundays, or legal holidays. (4) The notice of right to claim a lien described in subsection (1) of this section, shall include but not be limited to the following information and shall substantially be in the following form, using lower-case and upper-case ten-point type where appropriate. THIS IS NOT A LIEN: This notice is sent to you to tell you who is providing professional services, materials, or equipment for the improvement of your property and to advise you of the rights of these persons and your responsibilities. Also take note that laborers on your project may claim a lien without sending you a notice. Under Washington law, those who furnish labor, professional services, materials, or equipment for the repair, remodel, or alteration of your owner-occupied principal residence and who are not paid, have a right to enforce their claim for payment against your property. This claim is known as a construction lien. The law limits the amount that a lien claimant can claim against your property. Claims may only be made against that portion of the contract price you have not yet paid to your prime contractor as of the time this notice was given to you or three days after this notice was mailed to you. Review the back of this notice for more information and ways to avoid lien claims. We have or will be providing professional services, materials, or equipment for the improvement of your commercial or new residential project. In the event you or your contractor fail to pay us, we may file a lien against your property. A lien may be claimed for all professional services, materials, or equipment furnished after a date that is sixty days before this notice was given to you or mailed to you, unless the improvement to your property is the construction of a new single-family residence, then ten days before this notice was given to you or mailed to you. This notice is sent to inform you that we have or will provide professional services, materials, or equipment for the improvement of your property. We expect to be paid by the person who ordered our services, but if we are not paid, we have the right to enforce our claim by filing a construction lien against your property. LEARN more about the lien laws and the meaning of this notice by discussing them with your contractor, suppliers, Department of Labor and Industries, the firm sending you this notice, your lender, or your attorney. YOU SHOULD TAKE APPROPRIATE STEPS TO PROTECT YOUR PROPERTY FROM LIENS. (6) A lien authorized by this chapter shall not be enforced unless the lien claimant has complied with the applicable provisions of this section. Click Here to File a Washington Document. The legislature finds that acts of coercion or attempted coercion, including threats to withhold future contracts, made by a contractor or developer to discourage a contractor, subcontractor, or material or equipment supplier from giving an owner the notice of right to claim a lien required by RCW 60.04.031, or from filing a claim of lien under this chapter are matters vitally affecting the public interest for the purpose of applying the consumer protection act, chapter 19.86 RCW. These acts of coercion are not reasonable in relation to the development and preservation of business. These acts of coercion shall constitute an unfair or deceptive act or practice in trade or commerce for the purpose of applying the consumer protection act, chapter 19.86 RCW. The lot, tract, or parcel of land which is improved is subject to a lien to the extent of the interest of the owner at whose instance, directly or through a common law or construction agent the labor, professional services, equipment, or materials were furnished, as the court deems appropriate for satisfaction of the lien. If, for any reason, the title or interest in the land upon which the improvement is situated cannot be subjected to the lien, the court in order to satisfy the lien may order the sale and removal of the improvement from the land which is subject to the lien. The claim of lien created by this chapter upon any lot or parcel of land shall be prior to any lien, mortgage, deed of trust, or other encumbrance which attached to the land after or was unrecorded at the time of commencement of labor or professional services or first delivery of materials or equipment by the lien claimant. (2) The order shall clearly state that if the lien claimant fails to appear at the time and place noted the lien shall be released, with prejudice, and that the lien claimant shall be ordered to pay the costs requested by the applicant including reasonable attorneys’ fees. (4) If, following a hearing on the matter, the court determines that the lien is frivolous and made without reasonable cause, or clearly excessive, the court shall issue an order releasing the lien if frivolous and made without reasonable cause, or reducing the lien if clearly excessive, and awarding costs and reasonable attorneys’ fees to the applicant to be paid by the lien claimant. If the court determines that the lien is not frivolous and was made with reasonable cause, and is not clearly excessive, the court shall issue an order so stating and awarding costs and reasonable attorneys’ fees to the lien claimant to be paid by the applicant. ...................., being sworn, says: I am the claimant (or attorney of the claimant, or administrator, representative, or agent of the trustees of an employee benefit plan) above named; I have read or heard the foregoing claim, read and know the contents thereof, and believe the same to be true and correct and that the claim of lien is not frivolous and is made with reasonable cause, and is not clearly excessive under penalty of perjury. The period provided for recording the claim of lien is a period of limitation and no action to foreclose a lien shall be maintained unless the claim of lien is filed for recording within the ninety-day period stated. The lien claimant shall give a copy of the claim of lien to the owner or reputed owner by mailing it by certified or registered mail or by personal service within fourteen days of the time the claim of lien is filed for recording. Failure to do so results in a forfeiture of any right the claimant may have to attorneys’ fees and costs against the owner under RCW 60.04.181. When furnishing labor, professional services, materials, or equipment for the construction of two or more separate residential units, the time for filing claims of lien against each separate residential unit shall commence to run upon the cessation of the furnishing of labor, professional services, materials, or equipment on each residential unit, as provided in this chapter. For the purposes of this section a separate residential unit is defined as consisting of one residential structure together with any garages or other outbuildings appurtenant thereto. The county auditor shall record the notice of claim of lien in the same manner as deeds and other instruments of title are recorded under chapter 65.08 RCW. Notices of claim of lien for registered land need not be recorded in the Torrens register. The county auditor shall charge no higher fee for recording notices of claim of lien than other documents. Any lien or right of lien created by this chapter and the right of action to recover therefor, shall be assignable so as to vest in the assignee all rights and remedies of the assignor, subject to all defenses thereto that might be made. In every case in which the notice of claim of lien is recorded against two or more separate pieces of property owned by the same person or owned by two or more persons jointly or otherwise, who contracted for the labor, professional services, material, or equipment for which the notice of claim of lien is recorded, the person recording the notice of claim of lien shall designate in the notice of claim of lien the amount due on each piece of property, otherwise the lien is subordinated to other liens that may be established under this chapter. The lien of such claim does not extend beyond the amount designated as against other creditors having liens upon any of such pieces of property. No lien created by this chapter binds the property subject to the lien for a longer period than eight calendar months after the claim of lien has been recorded unless an action is filed by the lien claimant within that time in the superior court in the county where the subject property is located to enforce the lien, and service is made upon the owner of the subject property within ninety days of the date of filing the action; or, if credit is given and the terms thereof are stated in the claim of lien, then eight calendar months after the expiration of such credit; and in case the action is not prosecuted to judgment within two years after the commencement thereof, the court, in its discretion, may dismiss the action for want of prosecution, and the dismissal of the action or a judgment rendered thereon that no lien exists shall constitute a cancellation of the lien. This is a period of limitation, which shall be tolled by the filing of any petition seeking protection under Title Eleven, United States Code by an owner of any property subject to the lien established by this chapter. The lien claimant shall be entitled to recover upon the claim recorded the contract price after deducting all claims of other lien claimants to whom the claimant is liable, for furnishing labor, professional services, materials, or equipment; and in all cases where a claim of lien shall be recorded under this chapter for labor, professional services, materials, or equipment supplied to any lien claimant, he or she shall defend any action brought thereupon at his or her own expense. During the pendency of the action, the owner may withhold from the prime contractor the amount of money for which a claim is recorded by any subcontractor, supplier, or laborer. In case of judgment against the owner or the owner’s property, upon the lien, the owner shall be entitled to deduct from sums due to the prime contractor the principal amount of the judgment from any amount due or to become due from the owner to the prime contractor plus such costs, including interest and attorneys’ fees, as the court deems just and equitable, and the owner shall be entitled to recover back from the prime contractor the amount for which a lien or liens are established in excess of any sum that may remain due from the owner to the prime contractor. Any owner of real property subject to a recorded claim of lien under this chapter, or contractor, subcontractor, lender, or lien claimant who disputes the correctness or validity of the claim of lien may record, either before or after the commencement of an action to enforce the lien, in the office of the county recorder or auditor in the county where the claim of lien was recorded, a bond issued by a surety company authorized to issue surety bonds in the state. The surety shall be listed in the latest federal department of the treasury list of surety companies acceptable on federal bonds, published in the Federal Register, as authorized to issue bonds on United States government projects with an underwriting limitation, including applicable reinsurance, equal to or greater than the amount of the bond to be recorded. The bond shall contain a description of the claim of lien and real property involved, and be in an amount equal to the greater of five thousand dollars or two times the amount of the lien claimed if it is ten thousand dollars or less, and in an amount equal to or greater than one and one-half times the amount of the lien if it is in excess of ten thousand dollars. If the claim of lien affects more than one parcel of real property and is segregated to each parcel, the bond may be segregated the same as in the claim of lien. A separate bond shall be required for each claim of lien made by separate claimants. However, a single bond may be used to guarantee payment of amounts claimed by more than one claim of lien by a single claimant so long as the amount of the bond meets the requirements of this section as applied to the aggregate sum of all claims by such claimant. The condition of the bond shall be to guarantee payment of any judgment upon the lien in favor of the lien claimant entered in any action to recover the amount claimed in a claim of lien, or on the claim asserted in the claim of lien. The effect of recording a bond shall be to release the real property described in the notice of claim of lien from the lien and any action brought to recover the amount claimed. Unless otherwise prohibited by law, if no action is commenced to recover on a lien within the time specified in RCW 60.04.141, the surety shall be discharged from liability under the bond. If an action is timely commenced, then on payment of any judgment entered in the action or on payment of the full amount of the bond to the holder of the judgment, whichever is less, the surety shall be discharged from liability under the bond. Nothing in this section shall in any way prohibit or limit the use of other methods, devised by the affected parties to secure the obligation underlying a claim of lien and to obtain a release of real property from a claim of lien. The lien provided by this chapter, for which claims of lien have been recorded, may be foreclosed and enforced by a civil action in the court having jurisdiction in the manner prescribed for the judicial foreclosure of a mortgage. The court shall have the power to order the sale of the property. In any action brought to foreclose a lien, the owner shall be joined as a party. The interest in the real property of any person who, prior to the commencement of the action, has a recorded interest in the property, or any part thereof, shall not be foreclosed or affected unless they are joined as a party. A person shall not begin an action to foreclose a lien upon any property while a prior action begun to foreclose another lien on the same property is pending, but if not made a party plaintiff or defendant to the prior action, he or she may apply to the court to be joined as a party thereto, and his or her lien may be foreclosed in the same action. The filing of such application shall toll the running of the period of limitation established by RCW 60.04.141 until disposition of the application or other time set by the court. The court shall grant the application for joinder unless to do so would create an undue delay or cause hardship which cannot be cured by the imposition of costs or other conditions as the court deems just. If a lien foreclosure action is filed during the pendency of another such action, the court may, on its own motion or the motion of any party, consolidate actions upon such terms and conditions as the court deems just, unless to do so would create an undue delay or cause hardship which cannot be cured by the imposition of costs or other conditions. If consolidation of actions is not permissible under this section, the lien foreclosure action filed during the pendency of another such action shall not be dismissed if the filing was the result of mistake, inadvertence, surprise, excusable neglect, or irregularity. An action to foreclose a lien shall not be dismissed at the instance of a plaintiff therein to the prejudice of another party to the suit who claims a lien. (2) The proceeds of the sale of property must be applied to each lien or class of liens in order of its rank and, in an action brought to foreclose a lien, pro rata among each claimant in each separate priority class. A personal judgment may be rendered against any party personally liable for any debt for which the lien is claimed. If the lien is established, the judgment shall provide for the enforcement thereof upon the property liable as in the case of foreclosure of judgment liens. The amount realized by such enforcement of the lien shall be credited upon the proper personal judgment. The deficiency, if any, remaining unsatisfied, shall stand as a personal judgment, and may be collected by execution against any party liable therefor. (3) The court may allow the prevailing party in the action, whether plaintiff or defendant, as part of the costs of the action, the moneys paid for recording the claim of lien, costs of title report, bond costs, and attorneys’ fees and necessary expenses incurred by the attorney in the superior court, court of appeals, supreme court, or arbitration, as the court or arbitrator deems reasonable. Such costs shall have the priority of the class of lien to which they are related, as established by subsection (1) of this section. The taking of a promissory note or other evidence of indebtedness for any labor, professional services, material, or equipment furnished for which a lien is created by this chapter does not discharge the lien therefor, unless expressly received as payment and so specified therein. Whenever material is furnished for use in the improvement of property subject to a lien created by this chapter, the material is not subject to attachment, execution, or other legal process to enforce any debt due by the purchaser of the material, except a debt due for the purchase money thereof, so long as in good faith, the material is about to be applied in the improvement of such property. The claim of lien, when filed as required by this chapter, shall be notice to the spouse or the domestic partner of the person who appears of record to be the owner of the property sought to be charged with the lien, and shall subject all the community interest of both spouses or both domestic partners to the lien. (1) Any potential lien claimant who has not received a payment within five days after the date required by their contract, invoice, employee benefit plan agreement, or purchase order may within thirty-five days of the date required for payment of the contract, invoice, employee benefit plan agreement, or purchase order, give a notice as provided in subsections (2) and (3) of this section of the sums due and to become due, for which a potential lien claimant may claim a lien under this chapter. (2) The notice shall be signed by the potential lien claimant or some person authorized to act on his or her behalf. (b) Delivering or serving the notice personally and obtaining evidence of delivery in the form of a receipt or other acknowledgment signed by the lender, owner, and appropriate prime contractor, or an affidavit of service. (a) The person, firm, trustee, or corporation filing the notice is entitled to receive contributions to any type of employee benefit plan or has furnished labor, professional services, materials, or equipment for which a lien is given by this chapter. (b) The name of the prime contractor, common law agent, or construction agent ordering the same. You are hereby required to withhold from any future draws on existing construction financing which has been made on the subject property (to the extent there remain undisbursed funds) the sum of ............... Dollars ($..........). Failure to comply with the requirements of this notice may subject the lender to a whole or partial compromise of any priority lien interest it may have pursuant to RCW 60.04.226. (5) After the receipt of the notice, the lender shall withhold from the next and subsequent draws the amount claimed to be due as stated in the notice. Alternatively, the lender may obtain from the prime contractor or borrower a payment bond for the benefit of the potential lien claimant in an amount sufficient to cover the amount stated in the potential lien claimant’s notice. The lender shall be obligated to withhold amounts only to the extent that sufficient interim or construction financing funds remain undisbursed as of the date the lender receives the notice. (6) Sums so withheld shall not be disbursed by the lender, except by the written agreement of the potential lien claimant, owner, and prime contractor in such form as may be prescribed by the lender, or the order of a court of competent jurisdiction. (7) In the event a lender fails to abide by the provisions of *subsections (4) and (5) of this section, then the mortgage, deed of trust, or other encumbrance securing the lender shall be subordinated to the lien of the potential lien claimant to the extent of the interim or construction financing wrongfully disbursed, but in no event more than the amount stated in the notice plus costs as fixed by the court, including reasonable attorneys’ fees. (8) Any potential lien claimant shall be liable for any loss, cost, or expense, including reasonable attorneys’ fees and statutory costs, to a party injured thereby arising out of any unjust, excessive, or premature notice filed under purported authority of this section. “Notice” as used in this subsection does not include notice given by a potential lien claimant of the right to claim liens under this chapter where no actual claim is made. (9)(a) Any owner of real property subject to a notice to real property lender under this section, or the contractor, subcontractor, lender, or lien claimant who believes the claim that underlies the notice is frivolous and made without reasonable cause, or is clearly excessive may apply by motion to the superior court for the county where the property, or some part thereof is located, for an order commanding the potential lien claimant who issued the notice to the real property lender to appear before the court at a time no earlier than six nor later than fifteen days from the date of service of the application and order on the potential lien claimant, and show cause, if any he or she has, why the notice to real property lender should not be declared void. The motion shall state the grounds upon which relief is asked and shall be supported by the affidavit of the applicant or his or her attorney setting forth a concise statement of the facts upon which the motion is based. (b) The order shall clearly state that if the potential lien claimant fails to appear at the time and place noted, the notice to lender shall be declared void and that the potential lien claimant issuing the notice shall be ordered to pay the costs requested by the applicant including reasonable attorneys’ fees. (d) If, following a hearing on the matter, the court determines that the claim upon which the notice to real property lender is based is frivolous and made without reasonable cause, or clearly excessive, the court shall issue an order declaring the notice to real property lender void if frivolous and made without reasonable cause, or reducing the amount stated in the notice if clearly excessive, and awarding costs and reasonable attorneys’ fees to the applicant to be paid by the person who issued the notice. If the court determines that the claim underlying the notice to real property lender is not frivolous and was made with reasonable cause, and is not clearly excessive, the court shall issue an order so stating and awarding costs and reasonable attorneys’ fees to the issuer of the notice to be paid by the applicant. Except as otherwise provided in RCW 60.04.061 or 60.04.221, any mortgage or deed of trust shall be prior to all liens, mortgages, deeds of trust, and other encumbrances which have not been recorded prior to the recording of the mortgage or deed of trust to the extent of all sums secured by the mortgage or deed of trust regardless of when the same are disbursed or whether the disbursements are obligatory. (4) For the purpose of this section, “real property lender” means a bank, savings bank, savings and loan association, credit union, mortgage company, or other corporation, association, partnership, or individual that makes loans secured by real property in this state. The prime contractor shall immediately supply the information listed in RCW 19.27.095(2) to any person who has contracted to supply materials, equipment, or professional services or who is a subcontractor on the improvement, as soon as the identity and mailing address of such subcontractor, supplier, or professional is made known to the prime contractor either directly or through another subcontractor, supplier, or professional. RCW 19.27.095, 60.04.230, and 60.04.011 through 60.04.226 and 60.04.261 are to be liberally construed to provide security for all parties intended to be protected by their provisions. Section headings as used in this chapter do not constitute any part of the law. This act shall take effect June 1, 1992. Lien claims based on an improvement commenced by a potential lien claimant on or after June 1, 1992, shall be governed by the provisions of this act. This act is necessary for the immediate preservation of the public peace, health, or safety, or support of the state government and its existing public institutions, and shall take effect June 1, 1992, except section 14 of this act which shall take effect immediately [March 31, 1992]. All rights acquired and liabilities incurred under acts or parts of act repealed by chapter 281, Laws of 1991, are hereby preserved, and all actions pending as of June 1, 1992, shall proceed under the law as it existed at the time chapter 281, Laws of 1991, took effect. (1)(a) Except as provided in (b) of this subsection, public improvement contracts shall provide, and public bodies shall reserve, a contract retainage not to exceed five percent of the moneys earned by the contractor as a trust fund for the protection and payment of: (i) The claims of any person arising under the contract; and (ii) the state with respect to taxes imposed pursuant to Titles 50, 51, and 82 RCW which may be due from such contractor. (b) Public improvement contracts involving the construction, alteration, repair, or improvement of any highway, road, or street funded in whole or in part by federal transportation funds shall rely upon the contract bond as referred to in chapter 39.08 RCW for the protection and payment of: (i) The claims of any person or persons arising under the contract to the extent such claims are provided for in RCW 39.08.010; and (ii) the state with respect to taxes imposed pursuant to Titles 50, 51, and 82 RCW which may be due. The contract bond must remain in full force and effect until, at a minimum, all claims filed in compliance with chapter 39.08 RCW are resolved. (2) Every person performing labor or furnishing supplies toward the completion of a public improvement contract shall have a lien upon moneys reserved by a public body under the provisions of a public improvement contract. However, the notice of the lien of the claimant shall be given within forty-five days of completion of the contract work, and in the manner provided in RCW 39.08.030. (6) A contractor may submit a bond for all or any portion of the contract retainage in a form acceptable to the public body and from a bonding company meeting standards established by the public body. The public body shall accept a bond meeting these requirements unless the public body can demonstrate good cause for refusing to accept it. This bond and any proceeds therefrom are subject to all claims and liens and in the same manner and priority as set forth for retained percentages in this chapter. The public body shall release the bonded portion of the retained funds to the contractor within thirty days of accepting the bond from the contractor. Whenever a public body accepts a bond in lieu of retained funds from a contractor, the contractor shall accept like bonds from any subcontractors or suppliers from which the contractor has retained funds. The contractor shall then release the funds retained from the subcontractor or supplier to the subcontractor or supplier within thirty days of accepting the bond from the subcontractor or supplier. (8) Whenever the department of transportation has contracted for the construction of two or more ferry vessels, sixty days after completion of all contract work on each ferry vessel, the department must release and pay in full the amounts retained in connection with the construction of the vessel subject to the provisions of RCW 60.28.021 and chapter 39.12 RCW. However, the department of transportation may at its discretion condition the release of funds retained in connection with the completed ferry upon the contractor delivering a good and sufficient bond with two or more sureties, or with a surety company, in the amount of the retained funds to be released to the contractor, conditioned that no taxes shall be certified or claims filed for work on the ferry after a period of sixty days following completion of the ferry; and if taxes are certified or claims filed, recovery may be had on the bond by the department of revenue, the employment security department, the department of labor and industries, and the material suppliers and laborers filing claims. (12) Unless the context clearly requires otherwise, the definitions in this subsection apply throughout this section. Every person, firm, or corporation furnishing materials, supplies, or equipment to be used in the construction, performance, carrying on, prosecution, or doing of any work for the state, or any county, city, town, district, municipality, or other public body, shall give to the contractor of the work a notice in writing, which notice shall cover the material, supplies, or equipment furnished or leased during the sixty days preceding the giving of such notice as well as all subsequent materials, supplies, or equipment furnished or leased, stating in substance and effect that such person, firm, or corporation is and/or has furnished materials and supplies, or equipment for use thereon, with the name of the subcontractor ordering the same, and that a lien against the retained percentage may be claimed for all materials and supplies, or equipment furnished by such person, firm, or corporation for use thereon, which notice shall be given by (1) mailing the same by registered or certified mail in an envelope addressed to the contractor, or (2) by serving the same personally upon the contractor or the contractor’s representative and obtaining evidence of such service in the form of a receipt or other acknowledgement signed by the contractor or the contractor’s representative, and no suit or action shall be maintained in any court against the retained percentage to recover for such material, supplies, or equipment or any part thereof unless the provisions of this section have been complied with. After the expiration of the forty-five day period for giving notice of lien provided in RCW 60.28.011(2), and after receipt of the certificates of the department of revenue, the employment security department, and the department of labor and industries, and the public body is satisfied that the taxes certified as due or to become due by the department of revenue, the employment security department, and the department of labor and industries are discharged, and the claims of material suppliers and laborers who have filed their claims, together with a sum sufficient to defray the cost of foreclosing the liens of such claims, and to pay attorneys’ fees, have been paid, the public body may withhold from the remaining retained amounts for claims the public body may have against the contractor and shall pay the balance, if any, to the contractor the fund retained by it or release to the contractor the securities and bonds held in escrow. Any person, firm, or corporation filing a claim against the reserve fund shall have four months from the time of the filing thereof in which to bring an action to foreclose the lien. The lien shall be enforced by action in the superior court of the county where filed, and shall be governed by the laws regulating the proceedings in civil actions touching the mode and manner of trial and the proceedings and laws to secure property so as to hold it for the satisfaction of any lien against it: PROVIDED, That the public body shall not be required to make any detailed answer to any complaint or other pleading but need only certify to the court the name of the contractor; the work contracted to be done; the date of the contract; the date of completion and final acceptance of the work; the amount retained; the amount of taxes certified due or to become due to the state; and all claims filed with it showing respectively the dates of filing, the names of claimants, and amounts claimed. Such certification shall operate to arrest payment of so much of the funds retained as is required to discharge the taxes certified due or to become due and the claims filed in accordance with this chapter. In any action brought to enforce the lien, the claimant, if he prevails, is entitled to recover, in addition to all other costs, attorney fees in such sum as the court finds reasonable. If a claimant fails to bring action to foreclose his lien within the four months period, the reserve fund shall be discharged from the lien of his claim and the funds shall be paid to the contractor. The four months limitation shall not, however, be construed as a limitation upon the right to sue the contractor or his surety where no right of foreclosure is sought against the fund. The amount of all taxes, increases and penalties due or to become due under Title 82 RCW, from a contractor or the contractor’s successors or assignees with respect to a public improvement contract wherein the contract price is thirty-five thousand dollars or more shall be a lien prior to all other liens upon the amount of the retained percentage withheld by the disbursing officer under such contract, except that the employees of a contractor or the contractor’s successors or assignees who have not been paid the prevailing wage under such a public improvement contract shall have a first priority lien against the bond or retainage prior to all other liens. The amount of all other taxes, increases and penalties due and owing from the contractor shall be a lien upon the balance of such retained percentage remaining in the possession of the disbursing officer after all other statutory lien claims have been paid. Upon completion of a contract, the state, county, or other municipal officer charged with the duty of disbursing or authorizing disbursement or payment of such contracts shall forthwith notify the department of revenue, the employment security department, and the department of labor and industries of the completion of contracts over thirty-five thousand dollars. Such officer shall not make any payment from the retained percentage fund or release any retained percentage escrow account to any person, until he or she has received from the department of revenue, the employment security department, and the department of labor and industries certificates that all taxes, increases, and penalties due from the contractor, and all taxes due and to become due with respect to such contract have been paid in full or that they are, in each department’s opinion, readily collectible without recourse to the state’s lien on the retained percentage. If within thirty days after receipt of notice by the department of revenue, the employment security department, and the department of labor and industries of the completion of the contract, the amount of all taxes, increases and penalties due from the contractor or any of his successors or assignees or to become due with respect to such contract have not been paid, the department of revenue, the employment security department, and the department of labor and industries may certify to the disbursing officer the amount of all taxes, increases and penalties due from the contractor, together with the amount of all taxes due and to become due with respect to the contract and may request payment thereof in accordance with the priority provided by this chapter. The disbursing officer shall within ten days after receipt of such certificate and request pay to the department of revenue, the employment security department, and the department of labor and industries the amount of all taxes, increases and penalties certified to be due or to become due and all claims which by statute are a lien upon the retained percentage withheld by the disbursing officer in accordance with the priority provided by this chapter. If the contractor owes no taxes imposed pursuant to Titles 50, 51, and 82 RCW, the department of revenue, the employment security department, and the department of labor and industries shall so certify to the disbursing officer. (1) If any delay in issuance of notice to proceed or in construction following an award of any public construction contract is primarily caused by acts or omissions of persons or agencies other than the contractor and a preliminary, special or permanent restraining order of a court of competent jurisdiction is issued pursuant to litigation and the appropriate public contracting body does not elect to delete the completion of the contract as provided by RCW 60.28.011(7), the appropriate contracting body will issue a change order or force account directive to cover reasonable costs incurred by the contractor as a result of such delay. These costs shall include but not be limited to contractor’s costs for wages, labor costs other than wages, wage taxes, materials, equipment rentals, insurance, bonds, professional fees, and subcontracts, attributable to such delay plus a reasonable sum for overhead and profit. In the event of a dispute between the contracting body and the contractor, arbitration procedures may be commenced under the applicable terms of the construction contract, or, if the contract contains no such provision for arbitration, under the then obtaining rules of the American Arbitration Association. If the delay caused by litigation exceeds six months, the contractor may then elect to terminate the contract and to delete the completion of the contract and receive payment in proportion to the amount of the work completed plus the cost of the delay. Amounts retained and accumulated under RCW 60.28.011 shall be held for a period of forty-five days following the election of the contractor to terminate. Election not to terminate the contract by the contractor shall not affect the accumulation of costs incurred as a result of the delay provided above. (2) This section shall not apply to any contract awarded pursuant to an invitation for bid issued on or before July 16, 1973. If any section, provision or part of this chapter shall be adjudged to be invalid or unconstitutional, such adjudication shall not affect the validity of this chapter as a whole or any section, provision or part hereof not adjudged invalid or unconstitutional.